After tasteless tweets about the Japan disaster, the Aflac comic lampoons himself – and our own sensitivities – in video that looks at the comedy of tragedy. When is it too soon to laugh? 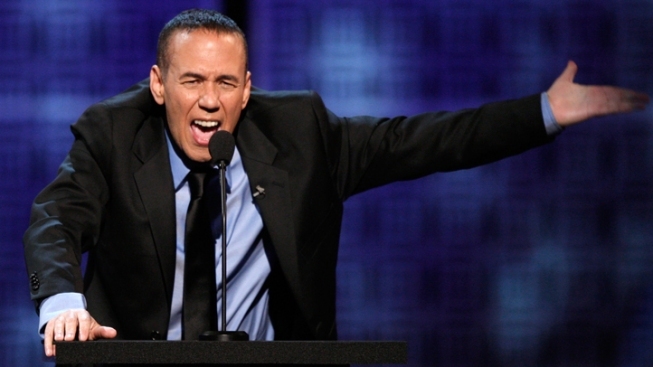 Gilbert Gottfried is apparently not quite ready to move on from his recent comedy disaster. The annoyingly voiced, irreverent comic ignited controversy this month after tweeting a couple tasteless jokes mocking the turmoil in Japan ("Japan is really advanced. They don't go to the beach. The beach comes to them."). He promptly lost his gig as Aflac’s grating spokesduck, and offered what appeared to be a sincere apology. But the mea culpa wasn’t the end. In a bold move, Gottfried posted a video on Funny or Die Sunday in which he lampoons himself – and our own sensitivities – as he looks, in his decidedly unsubtle fashion, at the comedy of tragedy. That some of the punch lines are as old as the tragedies themselves might be part of the point – time and timing, after all, are key to comedy. Still, the cringe factor grows as Gottfried edges up the timeline, joking about the Kennedy assassination, the Challenger disaster and the death of Princess Diana. He doesn’t dare tackle 9/11, thankfully. Gottfried’s video comes amid reports that German television executives plan to scrub episodes of “The Simpsons” of any references to woe at Mr. Burns’ nuclear plant, raising some fascinating questions about the role of comedy. Will it ever be possible to watch to Homer Simpson screwing up at work again without thinking of the ongoing disaster in Japan, or our own potential vulnerability? Will the show, which debuted as a series three years after Chernobyl and a decade after Three Mile Island, continue to be our comical pop cultural reference point to nuclear energy, serving as a means of laughing away fear that’s become more real in recent days? Gallows humor can be a way of dealing with things that seem to be out of our control. But as Gottfried learned, jokes that might never work, even with the distance of time, move incredibly quickly – and publicly – in the world of the Web.